The Fusion Collection features a 1" thick thermal fused melamine laminate top with black T-mold edge. 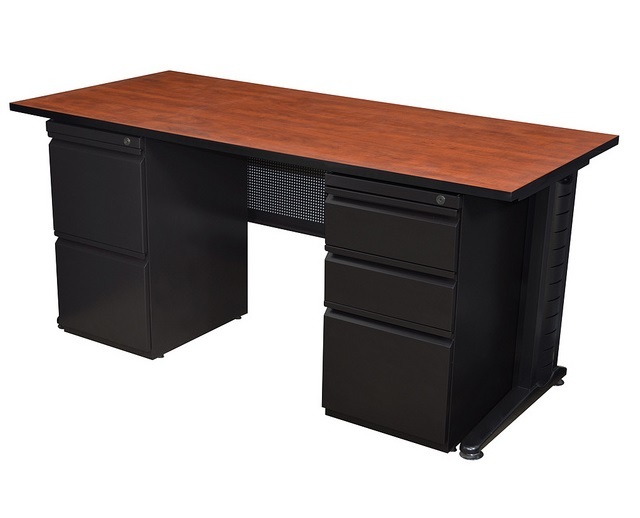 The Fusion desk legs offer concealed wire management that allows for wires to be hidden but accessible. Includes two pedestals. Choose from a variety of top colors.